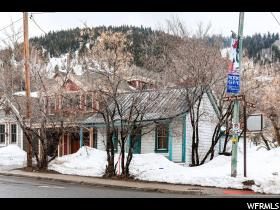 All SNYDERS ADDITION homes currently listed for sale in Park City as of 04/19/2019 are shown below. You can change the search criteria at any time by pressing the 'Change Search' button below. 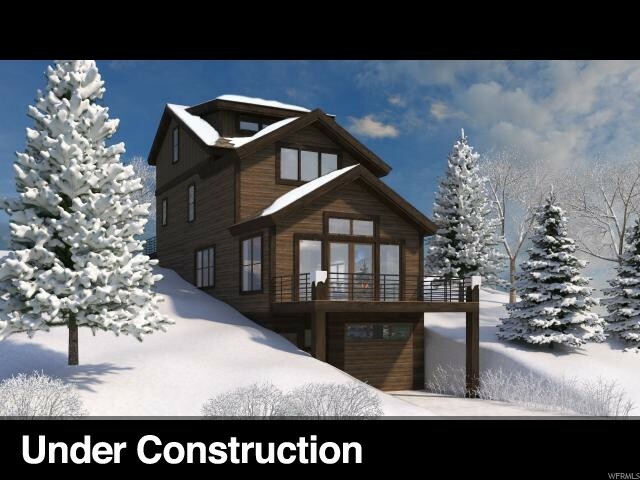 "New Construction in Park City's Old Town. Ideally located - walk to the slopes and Main Street for dining and shopping. Custom built fully furnished luxury home in the heart of Old Town. With 4 bedrooms and 5 baths and a steam room, no expense was spared in creating this one of a kind ski property. With 2 areas of flex/bedroom space, you still have the option to make one a media room or game room." 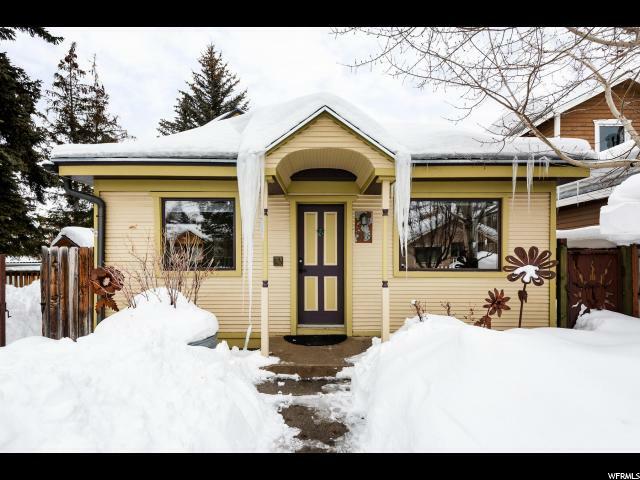 "This duplex is an incredible opportunity as an investment or your own Park City getaway. This residence is built into the hillside in between the base of Park City Mountain Resort and Main Street. It easily accommodates up to 21 people with four levels of comfortable living. Conveniently located near the free bus route, you can transit to the Canyons, Deer Valley or Kimball Junction giving you access to every amenity that the Park City lifestyle has to offer. Each side is connected by a front walkway, as well as a back deck with a shared hot tub, which offers a gorgeous view of Old Town. The bottom level of each side features an open and spacious suite with a full bathroom. The level above the bottom level features 2 bedrooms and a full bathroom. The main floor is a great entertaining area with full kitchen, dining table, breakfast bar, convenient powder room and a cozy wood burning fireplace to end your full day of skiing. And last but not least, the top-level features a bedroom with a king-sized bed and a full bathroom. It offers everything you need from a one car garage on both sides and two additional parking spaces outside." "Only a Hop, Skip, and a Jump to the Town Lift. If you want to be steps from the Town Lift then this is the house for you. Historic Miner's Cottage completely renovated and updated by renewed old town expert Jonathan DeGrey. Home is pristine in location, qualify and finish level. Steps to everything Old Town has to offer. Don't miss one of the best Old Town properties on the market today." "Originally built in 1929 as an Old Town miner's cottage, renovated into a modern day four-season destination. With a design reflecting a Southern Utah flair, the interior is sunny and colorful. Its location backs 13-acre City Park for long and playful summer days. Walking distance to Park City Mountain, Historic Main Street and to all points Park City via free transit, so all guests can choose how to spend their day. An addition in 1996 created a three-bedroom custom home that sits on a double-sized lot with blue chip resort views. A Historic Preservation Award-winner, this property maintains its charm while offering the luxury amenities you demand in your mountain town retreat. Bask on a private elevated deck, let the dogs roam in your fenced yard, unwind in your Bullfrog hot tub, load up your gear and springboard to the Uinta National Forest, and tune all of your wheeled and waxed toys in your oversized garage. 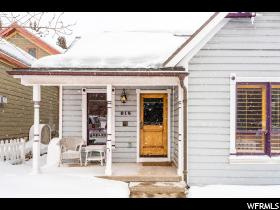 This home is your ticket to relishing in all that Park City has to offer. "